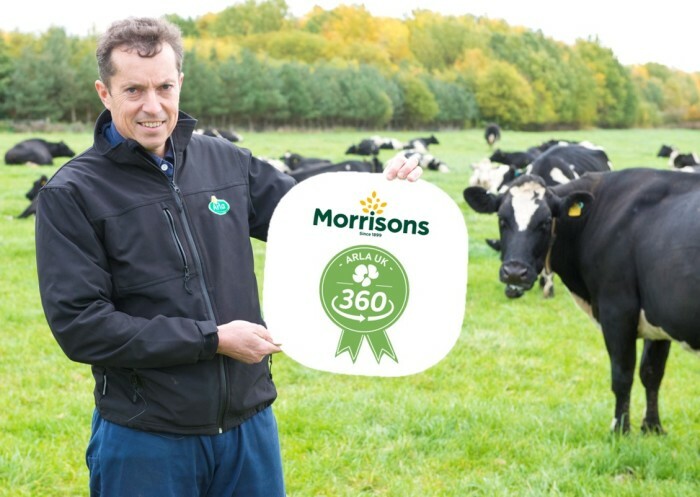 Arla Foods’s new farming standards programme Arla UK 360 continues to gain traction as Morrisons becomes the first retailer to commit to supporting the standards across its entire Arla milk supply. Sophie Throup, Agriculture Manager at Morrisons comments, "Being supplied by farmers who care about their staff, environment and the welfare of their animals is important to our customers and therefore it is important to us. We are looking forward to working with Arla on introducing their 360 standard to our pool of farmers." Arla Foods is a global dairy company and co-operative owned by 10,300 dairy farmers with circa 2,400 of whom are British.